I wrote a post awhile back explaining how I edit my instagram photos, but emphasize on the "insta" part of the app, and my feed has changed in a instant. (ohhh... so many puns, so little time). I'm all about cohesiveness when it comes to Instagram, so my photos are filtered all the same except for tiny tweaks of contrast, fading, etc. If you fancy to read that post, click here, but if not stay right here. 1: I first use the app Priime (I recently discovered it and I'm obsessed.) 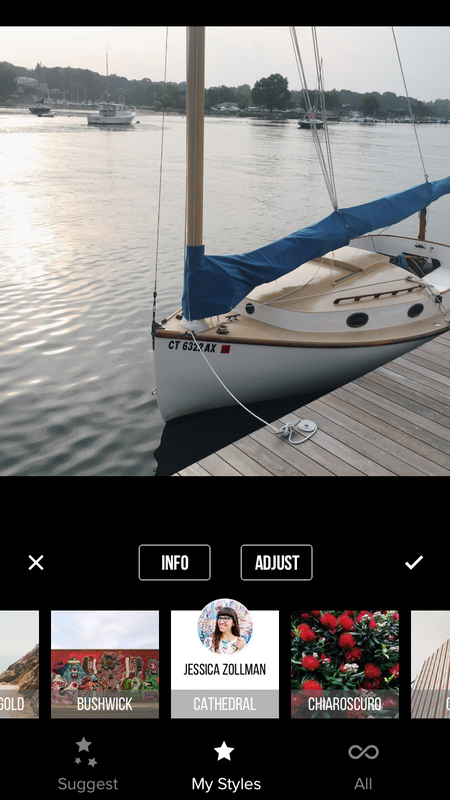 The idea behind it, is the app analyzes the photo, and helps pick out the best filters depending on the subject, lighting, etc. 2: I use the filter Cathedral, then bring down the warmth a little bit, up the contrast and brightness. Sometimes I also amp the structure, and bring a little fading in if I'm feeling funky. 3: Next, I go into VSCO and add the filter, A8. I bring it down to about 8. In VSCO, I make any last changes to the photo, then directly upload into Instagram.